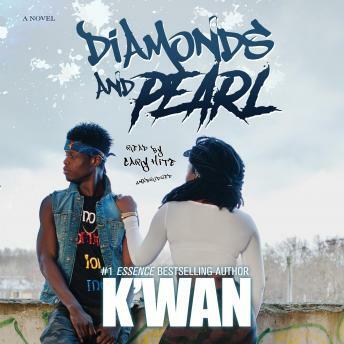 Diamonds and Pearl is a gritty, compelling novel from #1 Essence bestselling author K'wan. Raised in the wild and schooled on the mean streets of New Orleans, Diamonds is no stranger to hard times and is willing to do whatever it takes to stay above the poverty line, including kill. When an armed robbery turns into mass murder, Diamonds is forced to flee New Orleans and lands in New York where he meets Pearl and, for the first time, finds something he craves more than wealth and power-love. As the stakes get higher, Diamonds has to push away his past if he's to grab hold of his future. But by doing so, will he show Pearl that not all that glitters is gold? I'm starting to like Diamonds more than Animals. That should tell you what I think about this book. Big ups to Cary Hite too. Great book can't wait for part 2! K'WAN BOOKS ARE ALWAYS FIRE! I loved this book. I'm looking forward to K'wan's next book. The end had a definite twist. I never saw it coming.